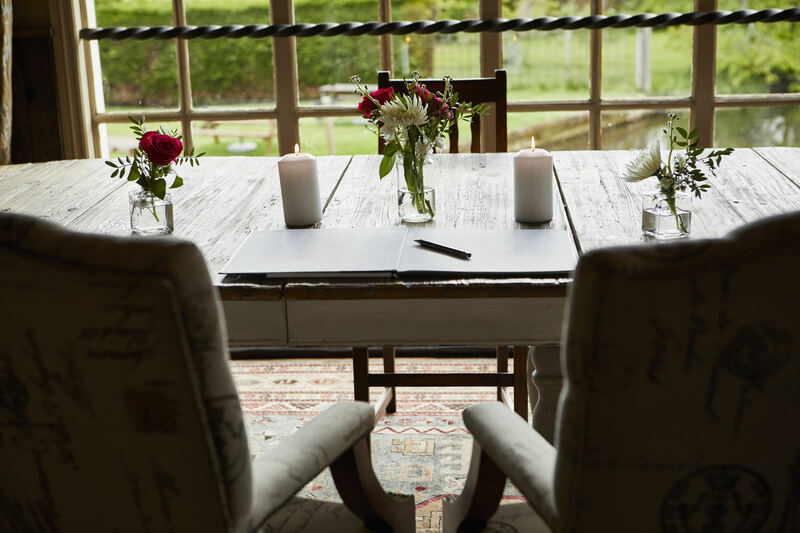  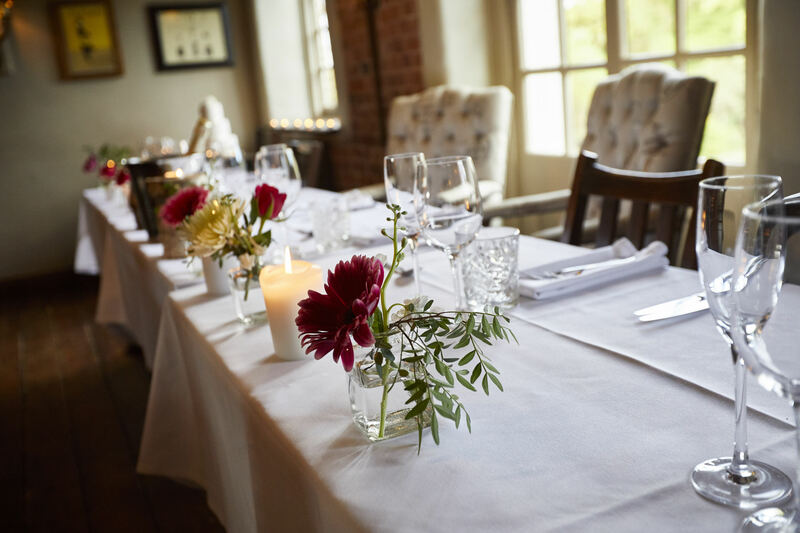 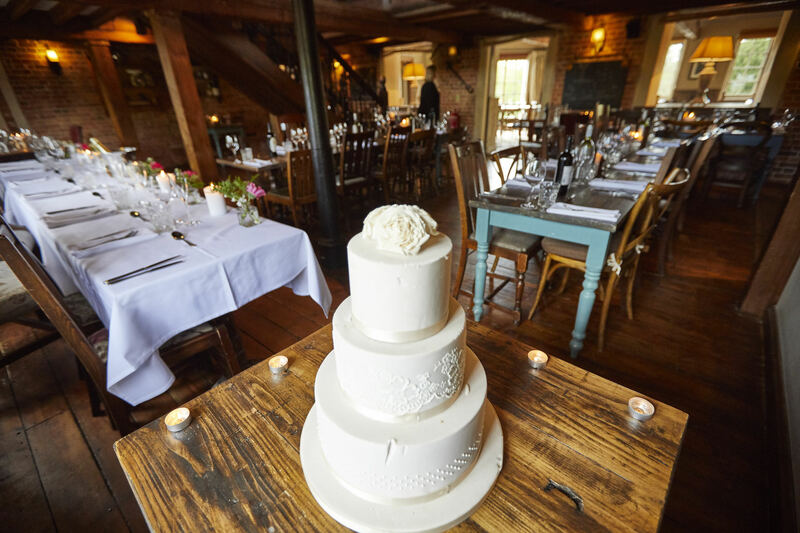 Steeped in history dating back to 1647, The Mill has had many different stories over the years, from Oliver Cromwell, a corn mill, making braids for military uniforms as well as a WWll hospital, to more recently as a beautiful rustic wedding. 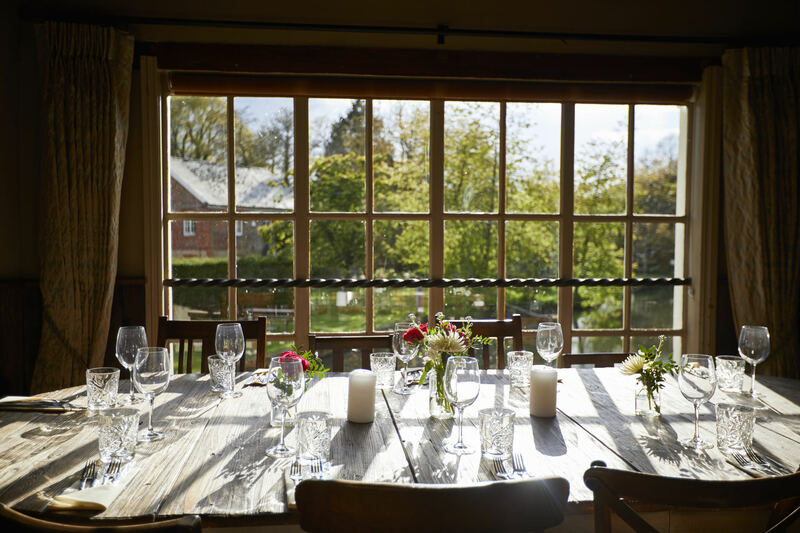 Our first floor dual aspect Cygnet room overlooking the river Wey is perfect for wedding ceremonies up to 65 guests, wedding breakfast up to 90 guests and evening celebrations for up to 120 guests. 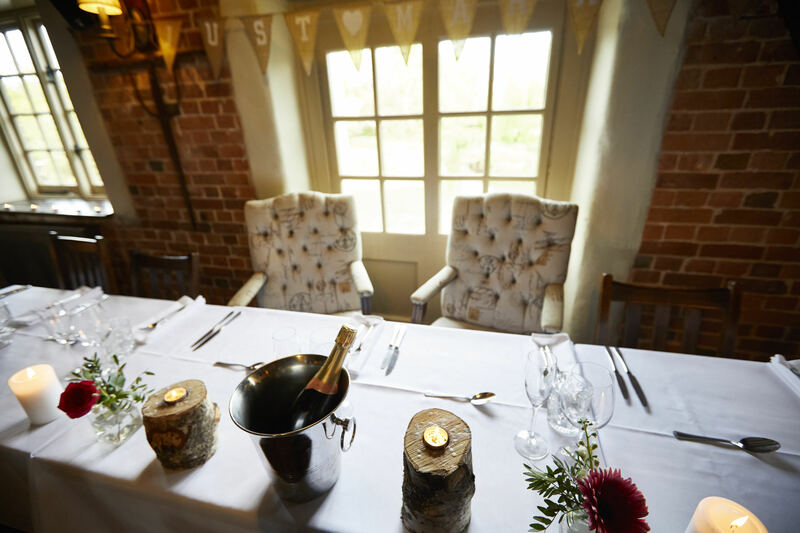 The Cygnet room is the perfect space for your wedding, with exposed wooden beams, brick walls and mismatch wooden furniture to give you a relaxed intimate wedding breakfast, with a separate area for dancing the night away. 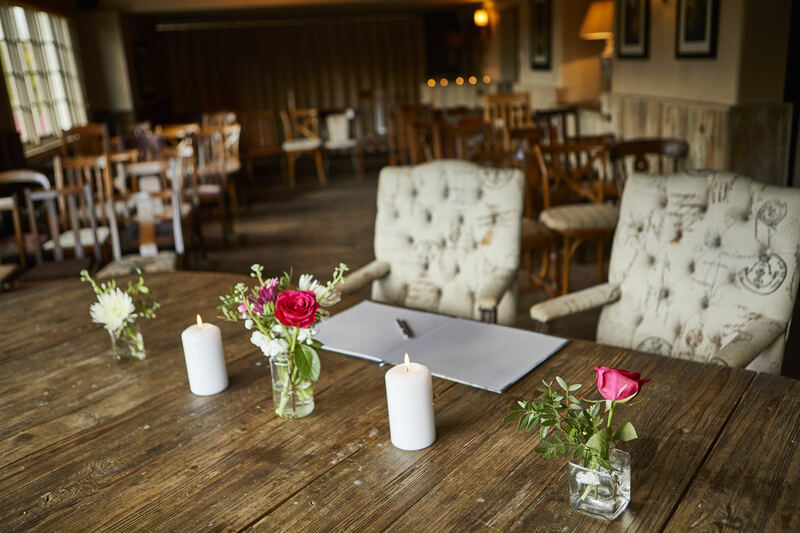 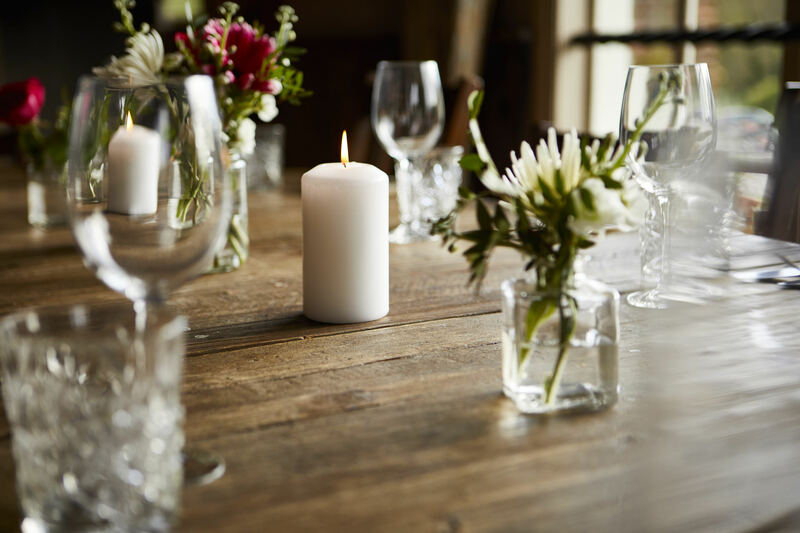 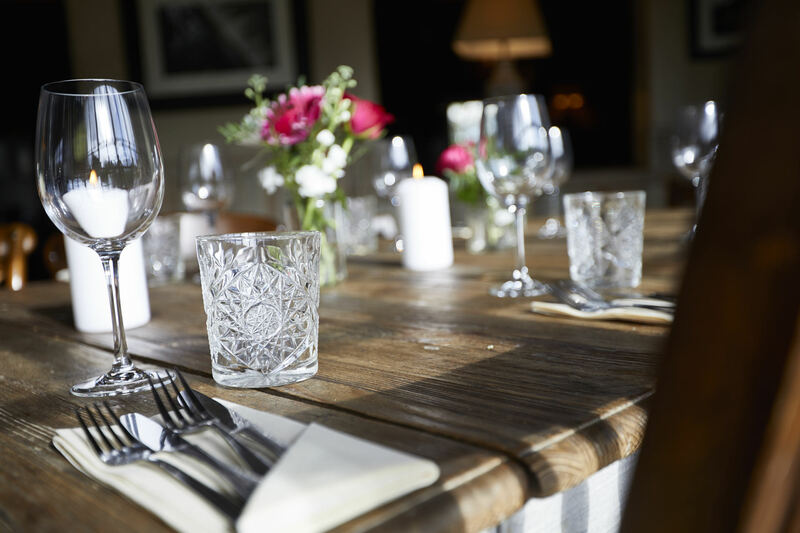 Looking for something a little more intimate then our ground floor Cromwell room is licensed for up to 25 guests for a ceremony and 30 guests for a wedding breakfast with the same rustic interior but with the addition of a large Inglenook fireplace. 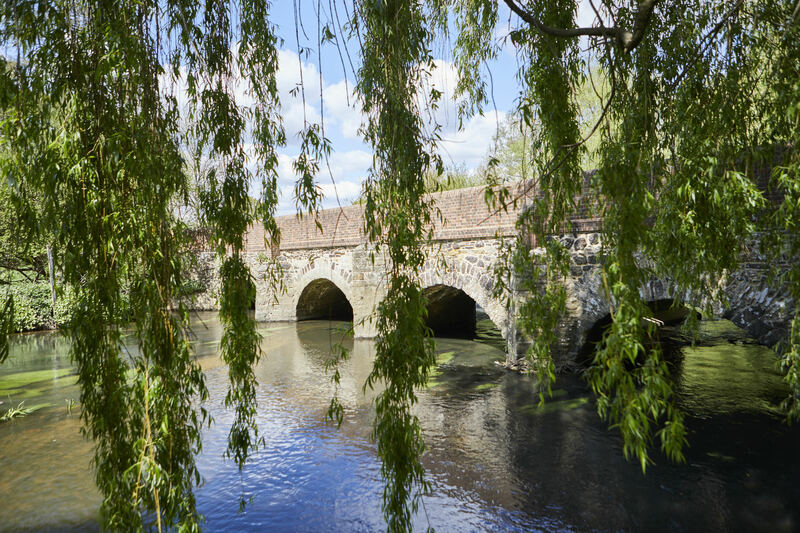 Outside you have many places for photo opportunities such as the orchard beside the Mill pond, entrance bridge and our lit archway. 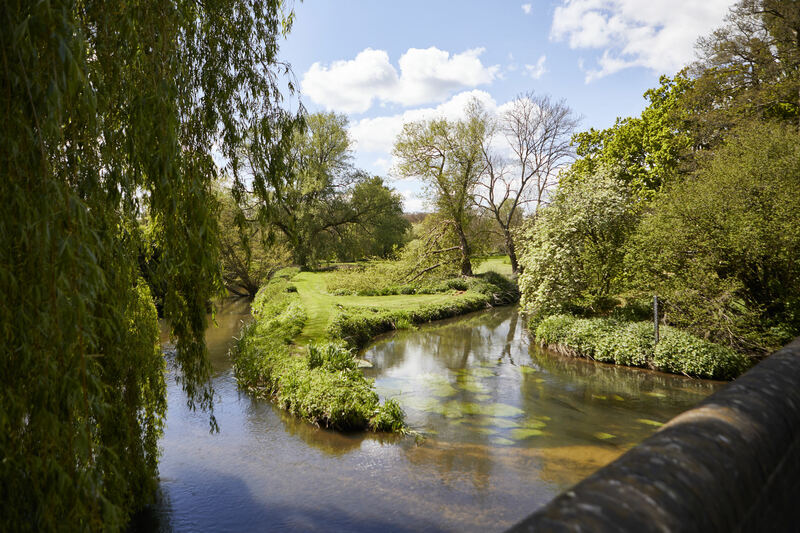 To top off your day you may even be greeted by ducks, swans, herons and even pheasants, which many guests like to feed whilst having drinks and canapes on the lawn.